Nagorno-Karabakh: Can it Ever be Solved? On December 13, 2016 the EU Delegation to Armenia hosted a meeting with the EU member state embassies where a group of Armenian civil society organizations (Open Society Foundations-Armenia, Analytical Centre on Globalization and Regional Cooperation, Asparez Journalists Club, Transparency International-Armenia, Helsinki Citizens' Assembly Vanadzor Office, Digital Rights NGO and Helsinki Committee of Armenia) presented their anti-corruption and anti-discrimination recommendations in the context of transition from the current visa facilitation to the possible future visa liberalisation. ACGRC Director Stepan Grigoryan had speech at a Workshop “Strengthening the Participation of Civil Society in Armenia and Georgia” which took place on October 27-28, 2016 at the University of Bonn. The Workshop was funded by the German Academic Exchange Service (DAAD) on behalf of the German Ministry of Foreign Affairs (Auswärtiges Amt). ACGRC Representative will take part at the IXth edition of the Black Sea NGO Forum in Varna (Bulgaria). The Black Sea NGO Forum will take place this year in Varna, Bulgaria, between the 31st of October and the 2nd of November 2016. This year’s edition aims to contribute to the implementation of the “Strategic Framework for Civil Society Cooperation in the Black Sea Region” by promoting an enabling environment for civil society organisations as a prerequisite for regional cooperation and supporting the Black Sea NGO Forum’s Working Groups actively engaged in the thematic cooperation areas identified and endorsed by the participants during last year’s edition. On 30 March 2016 in Yerevan the Yerevan-based Analytical Centre on Globalization and Regional Cooperation (ACGRC) with support of the Friedrich Naumann Foundation for Freedom in South Caucasus carried out conference on the topic: “German OSCE Chairmanship: Strengthening Dialogue, Trust and Security in the OSCE region”. More than 130 persons took part at the event: Ambassadors of ‪Germany, ‪‎Switzerland, ‪Italy, ‪‎Kuwait, ‪‎Poland, ‪‎Argentine and Charge de Affairs of ‪‎Sweden and ‪‎Georgia, diplomats from the Embassies of ‪Kazakhstan, ‪‎Lithuania, ‪‎Japan, ‪‎Bulgaria, ‪‎Romania, ‪‎France, ‪‎Ukraine, ‪‎Czech Republic and representatives of EU Delegation, ‪‎GIZ and ‪‎OSCE. Welcoming remarks were made by Peter-Andreas BOCHMANN – Resident Representative for South Caucasus, Friedrich Naumann Foundation for Freedom. Speakers were: Vahe GEVORGYAN – Head of OSCE and Conventional Arms Control Division, Ministry of Foreign Affairs of the Republic of Armenia, H.E. Matthias KIESLER – Ambassador, Embassy of the Federal Republic of Germany in Armenia, H.E Lukas GASSER – Ambassador, Embassy of Switzerland in Armenia, David GULLETTE - Democratization Officer, OSCE Office in Yerevan, Artak ZAKARYAN - Chairman of the Standing Committee on Foreign Affairs, National Assembly of the Republic of Armenia, Larisa MINASYAN – Executive Director, Open Society Foundations-Armenia, Vladimir KARAPETYAN - Head of the Committee on International Relations, Armenian National Congress Party, Edmon MARUKYAN – Member of the National Assembly of the Republic of Armenia and Anush SEDRAKYAN – Lecturer at the Yerevan State University, Vice President of the Free Democrats Party. On 1 March 2016 ACGRC Program Manager Nikolay Israyelyan took part at the meeting with Federica Mogherini, High Representative of the Union for Foreign Affairs and Security Policy / Vice-President of the Commission on future prospects for EU-Armenia Cooperation. ACGRC Representative introduced the results of the monitoring report on implementation of visa facilitation agreement in Armenia. On 5-7 February 2016 the Analytical Centre on Globalization and Regional Cooperation (ACGRC) in cooperation with Open Society Foundations-Armenia carried out international conference: “The EU Eastern Partnership and Revised Neighborhood Policy in the Context of New Threats and Challenges: Democracy, Human Rights and Good Governance” in Tsakhkadzor (Armenia). Keynote international speakers were: Dr. Piotr Antoni Świtalski – Ambassador, Head of Delegation, Delegation of the European Union to the Republic of Armenia, Martin Ängeby – Secretary General of the Swedish International Liberal Centre, Arnoldas Pranckevičius - Adviser for External Policies, Cabinet of the President, the European Parliament, Alexandra Dancasiu – Policy Analyst, Go-Governance Institute, Austria andSandra Veloy Mateu, Research and Projects Assistant at Georgia’s Reforms Associates (GRASS). National speakers were: Larisa Minasyan – Executive Director, Open Society Foundations-Armenia, Stepan Grigoryan (ACGRC), Samvel Farmanyan – Co-Chair of the European Union-Armenia Parliamentary Cooperation Committee (PCC), National Assembly of the Republic of Armenia and Edmon Marukyan – Member of the Standing Committee of Foreign Relations, National Assembly of the Republic of Armenia. The conference brought together around 60 participants, including civic activists, NGO representatives, young leaders and students from Yerevan, Gyumri, Vanadzor and Ijevan. The Research on Open Government Partnership in Armenia is done by Hasmik Grigoryan in the framework of the project "TechSparency & TechVocacy – new keys for opening the Governments in the BSR". The project leader is Association Institute for Public Policy (IPP), Romania, partners are Analytical Centre on Globalization and Regional Cooperation (ACGRC) from Armenia and Caucasus Institute for Peace, Democracy and Development (CIPDD). The project is supported by the Black Sea Trust (BST). On 8-10 June 2015 ACGRC Director Dr. Stepan Grigoryan was in Bratislava (Slovakia) for the ADVANCED RESEARCH WORKSHOP Best Practices and Lessons Learned in Conflict Management: NATO, OSCE, EU and Civil Society organized by Research Center of the Slovak Foreign Policy Association, Foreign Policy Research Institute of the Diplomatic Academy of Ukraine and Center for the OSCE Research IFSH at University of Hamburg with support of the NATO Science for Peace and Security Program, International Visegrad Fund, Embassy of Finland in Slovakia. On 12 February 2015 the Analytical Centre on Globalization and Regional Cooperation (ACGRC) with support of the Embassy of the Republic of Latvia in Armenia carried out an international conference in Yerevan: “Latvian Presidency of the Council of the European Union and the EU Eastern Partnership Program”. The conference brought together more than 170 participants. The speakers were: H.E. Elita GAVELE –Ambassador of the Republic of Latvia to Armenia, H.E. Garen NAZARIAN – Deputy Minister of Foreign Affairs of the Republic of Armenia, H.E. Traian HRISTEA –Ambassador, Head of the Delegation of the European Union in the Republic of Armenia, H.E. Juris POIKANS - Latvia's Ambassador-at-Large for the Eastern Partnership, Ministry of Foreign Affairs of the Republic of Latvia, Andris SPRUDS – Director of the Latvian Institute of International Affairs (LIIA), Mher MARGARYAN – Head of the EU Division, Ministry of Foreign Affairs of the Republic of Armenia and Larisa MINASYAN – Executive Director, Open Society Foundations Armenia. The participants were Members of Armenian Parliament, officials from Government structures, experts-analysts, representatives of leading NGOs, academicians, Ambassadors of Italy, Lithuania, Poland, Bulgaria, Ukraine, Kuwait, diplomats from the Embassies of Great Britain, France, Switzerland, Romania, Georgia, and Kazakhstan as well as representatives of international organizations accredited in Armenia. On 24-25 November ACGRC Director Dr. Stepan Grigoryan was in Berlin for the Expert Workshop on the Nagorno-Karabakh Conflict which was organized by the Friedrich-Ebert-Stiftung. On 19-21 November 2014 ACGRC Director Dr. Stepan Grigoryan was in Bucharest and made a report at the international conference: “Energy Security in the Wider Black Sea Region, contributor to the European energy security” (Forecast 2035). The conference was organized by the Centrul de Prevenire a Conflictelor & Early Warning. In Georgia ACGRC Program Manager Veronika Danielyants participated in the conference - “Promotion of peace and enhanced protection for human rights in the regions with the frozen conflicts”. It was organized by Public Movement “Multinational Georgia” (PMMG) by financial support of European Commission. Partnership for all? Impact of Eastern Partnership on minorities. On 26-28 September the Friedrich-Ebert-Stiftung Armenia (FES) and the Analytical Centre on Globalization and Regional Cooperation (ACGRC) carried out the international conference “The Future of EU’s Eastern Partnership Program in Armenia”. 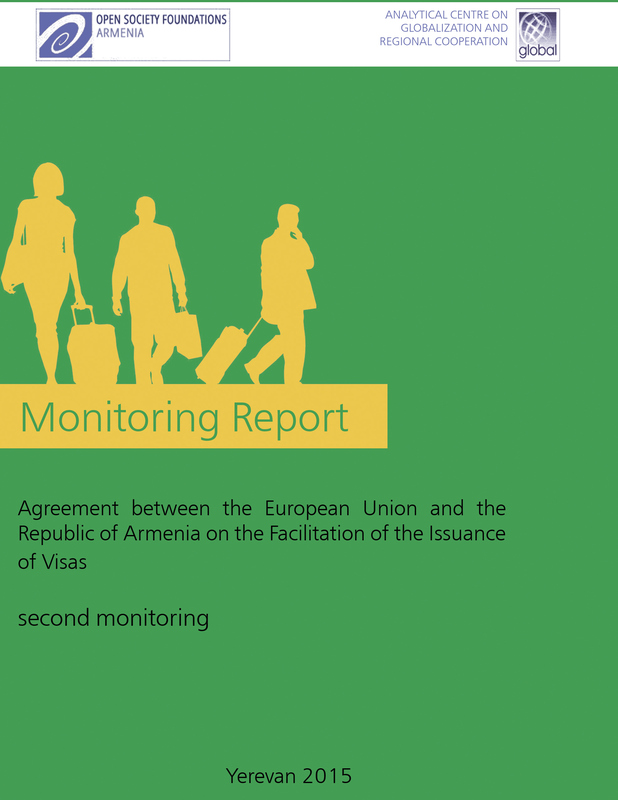 The main focus was on the findings of the national monitoring of the Visa Facilitation Agreement EU-Armenia which was implemented by the ACGRC with support of FES Armenia. The conference was attended by international experts, representatives of the Armenian Parliament, the EU Delegation, NGOs, academics, journalists and students. On 15-19 September 2014 ACGRC Program Manager Hasmik Grigoryan in Warsaw took part at a one week program Visegrad School of Political Studies. The sessions were organized by the EAD, Antall Jozsef Knowledge Center, the Slovak Atlantic Commission, International Centre for Democratic Transition & the Diplomatic Academy of Prague. The program is co-financed by the International Visegrad Fund and the The Department of Public and Cultural Diplomacy of the Ministry of Foreign Affairs of the Republic of Poland. On 12 August Vrezh Madoyan represented Analytical Centre on Globalization and Regional Cooperation on the initiative organised by United Nations Global Partnership for Youth which took place in the UN House Armenia, which was dedicated to the International Youth Day and was aimed at establishing United Nations Global Partnership for Youth Network of Armenia, representing youth organizations from different sectors and groups with a mandate to act as advocate for stronger youth agenda at the national, regional and international level. On 27 June in Gyumri the Analytical Centre on Globalization and Regional Cooperation (ACGRC) in cooperation with the Journalists Club “Asparez” and with support of the Open Society Institute – Armenia carried out an informational seminar on Visa Facilitation and Readmission Agreements for the representatives of local NGOs, students, academicians and journalists (more than 45 persons attended the event). On 19-20 June 2014 ACGRC Director was in Geneva by the invitation of the Geneva Centre for Security Policy and Swiss MFA. ACGRC Director took part and made a report at the Caucasus 2025 - Facilitating dialogue between civil society and international organizations. In the framework of the program ACGRC Director had meetings with high-level officials from Swiss MFA, OSCE, UN and European Union. On 2 - 5 June 2014 ACGRC Director Dr. Stepan Grigoryan was in Prague (the Czech Republic) for the project meeting: Important, Forgotten or Irrelevant? Stakeholders' Survey on Post-Vilnius Eastern Partnership and Advocacy Map. The project is run by the Association for International Affairs and supported by the International Visegrad Fund (IVF). In Prague ACGRC Director also met with Senior Officials from the Czech Ministry of Foreign Affairs and NGO representatives. ACGRC is pleased to welcome Ms. Ewa Polak as a Senior Research Fellow. Ms. Ewa Polak will conduct research on EU-Armenia relations, South Caucasus and on Armenia-Turkey relations. Ms. Ewa Polak also has experience with working as an independent researcher and anthropologist of politics. Being focused on local impacts of politics and democratization processes in Post-Soviet countries, carried out her research in Russia, Uzbekistan, Ukraine and Belarus. Ms. Ewa Polak also was dealing with the EU-Eastern Partnership countries' relations, working in the office of a Member of European Parliament in Brussels. On 15 May 2014 in Berlin (Germany) ACGRC Director Dr. Stepan Grigoryan made a report at the workshop “From Conflict to Cooperation – Lessons learned from Transnistria and Nagorno-Karabakh”. The workshop was organized by the Robert-Bosch-Stiftung. The participants were civil society representatives from Armenia, Azerbaijan, Moldova, Ukraine, Germany, the Czech Republic and Hungary. In Istanbul (Turkey) the Analytical Centre on Globalization and Regional Cooperation (ACGRC) with the Friedrich-Ebert-Stiftung (FES) carried out a workshop: "Possible Cooperation in Trilateral (Armenia-Azerbaijan-Turkey) Format". The participants were experts-analysts and civil society representatives from Armenia, Azerbaijan and Turkey. ACGRC is a partner in AMO project: "Trends of the Eastern Partnership: Stakeholders' Survey on Post-Vilnius Eastern Partnership"
On March 3, 2014 ACGRC with support of the Embassy of Kingdom of the Netherlands in Armenia (with residence in Tbilisi) organized a seminar: “Presentation of the Nuclear Security Summit 2014 (The Hague): Key Ideas and New Solutions” in Yerevan. More than 100 persons took part at the seminar, among them Government official, academicians, experts, NGO representatives, journalists and students.The seminar discussion focused on following specific objectives: the increase of awareness about NSS and the issues of nuclear security, exchange of opinions among the stakeholders, elaboration of recommendations on the issues of nuclear security. On 13-15 March ACGRC Director Dr. Stepan Grigoryan in Etyek (Hungary) made a report at the workshop: "Through Cooperation to Understanding: Regional Cooperation - a tool of settlement of frozen conflict" organized by the Institute for Stability and Development with support of the International Visegrad Fund (IVF). ACGRC program manager Hasmik Grigoryan was a panelist in Washington DC at the 2014 Transatlantic Policy Symposium entitled "Hot wars and cold wars: Europe's near abroad". The conference took place on February 7 and was organized by the Georgetown University BMW Centre for German and European Studies. It brought together established experts and young professionals to discuss EU's relations with its neighbourhood. ACGRC Director Dr. Stepan Grigoryan in Warsaw (Poland) had meetings at the Centre for Eastern Studies (OSW), Stefan Batory Foundation, The Polish Forum of Young Diplomats and Centre for East European Studies of the Warsaw University. On 27-29 November in Vilnius (Lithuania) ACGRC Director took part at the Civil Society Conference under the Lithuanian Presidency in the EU. The conference was organized by the Eastern Europe Studies Centre. Paul Goble: "Window on Eurasia: Putin’s Visit to Armenia Highlights Sad Fate Awaiting Those Who Cooperate with Moscow"
ACGRC Director Dr. Stepan Grigoryan made a report at the 4th European Forum on Cross-border Cooperation in a Wider Europe held in Joensuu, Finland on 20th November 2013. The Forum was organized by the Institute for Stability and Development (ISD, the Czech Republic) and was supported by the Finnish Foreign Ministry and the International Visegrad Fund (IVF). ACGRC is implementing project: “NATO and Armenia: lectures and a workshop for the young generation” with the support of the NATO Public Diplomacy Division. In the framework of the project ACGRC will implement several seminars and lectures. On 10-15 November ACGRC Program Manager Veronika Danielyants was in Chisinau (Moldova) by the invitation of the Business Consulting Institute (Moldova). ACGRC Program Manager made a report at an international conference: “Centrifugal and Centripetal Trends in Post-Soviet Space: Stance towards Sustainable Development” which was organized by the Business Consulting Institute with support of the Soros – Moldova Foundation. On 7-10 November 2013 ACGRC Director made a report at a workshop “What Kind of Sovereignty? Examining Alternative Governance Models in the South Caucasus” in Reichenau/Rax (Austria). The event was organized by the the Austrian Ministry of Defence and Sports, through its National Defence Academy and the Directorate General for Security Policy. ACGRC is pleased to welcome its first foreign Intern Pawel Wilkos. Pawel Wilkos is a recent alumnus of Political Science and National Security. He also attended foreign scholarships and conferences. His interests and specialization are bound with security aspects i.e. countering terrorism, organised crime and economic crisis, he is also focused on affairs related to situation in the Middle East and Caucasus. On 4 November 2013 in Yerevan (Armenia) STANDING COMMITTEES OF FOREIGN AFFAIRS AND EUROPEAN INTEGRATION OF THE RA NATIONAL ASSEMBLY with the support of the Friedrich-Ebert-Stiftung (FES) carried out Public Hearing The impact of the “Visa Facilitation Agreement between the Republic of Armenia and the European Union” and of the “Protocol to the Partnership and Cooperation Agreement between the European Communities and their Member States, of the one part, and the Republic of Armenia, of the other part, on a Framework Agreement between the European Union and the Republic of Armenia on the general principles for the participation of the Republic of Armenia in Union programmes” within the context of development of RA-EU relations. ACGRC Director Dr. Stepan Grigoryan made a report at the Public Hearing. On 16 October Analytical Centre on Globalization and Regional Cooperation (ACGRC) jointly with the Embassy of the Czech Republic in Armenia carried out a conference: “Four Years of the Eastern Partnership: Results and Challenges - Points of View of Armenian Politicians and Experts”. The welcoming remarks were made by Petr Mikyska –Chargé d´affaires a.i.,Embassy of the Czech Republic in Armenia, Opening remarks by H.E Petr Mareš – Special Envoy for Eastern Partnership, Ministry of Foreign Affairs of the Czech Republic and H.E Traian Hristea – Head of the Delegation, Delegation of the European Union in Armenia. Speakers were Naira Zohrabyan – Chair of the Standing Committee on European Integration, National Assembly of Armenia, Samvel Farmanyan – Head of the EU-Armenia Parliamentary Cooperation Committee, National Assembly of Armenia, Richard Giragosian – Director of the Regional Studies Center, Artur Ghazinyan – Director of the Centre for European Studies, Avetik Ishkhanyan – Chairman of Helsinki Committee of Armenia, Vahagn Ghazaryan – Independent Expert and Stepan Grigoryan – Chairman of the Board, ACGRC. The participants were Ambassadors of Lithuania and Brazil, diplomats from the UK, French, Greek, Romanian, Bulgarian, Ukrainian, representatives of the Armenian non-governmental organizations, foundations, international organizations, academicians, students, young researchers and media representatives took part. On 4-5 October 2013 ACGRC Director Dr. Stepan Grigoryan took part at the 5th Annual Eastern Partnership Civil Society Forum (EaP CSF) in Chisinau (Moldova). More than 250 civil society representatives from EU and EaP States took part at the Forum. ACGRC started cooperation with the Go-Governance (Austria). Go-Governance is an independent Institute based in Vienna to promote and co-ordinate research and projects on the topics of democratic governance and related fields. It is officially registered as an association in accordance with Austrian law. On 3 – 5 September 2013 in Krynica (Poland) ACGRC Director Dr. Stepan Grigoryan took part at the 23rd Economic Forum. ACGRC Director was a commentator at a Panel Discussion: “Four Years of the Eastern Partnership: Achievements and Challenges”. The event is annually organized by the Foundation Institute for Eastern Studies. Representative of the Analytical Centre on Globalization and Regional Cooperation (ACGRC) was in Bucharest (Romania) for the 6th Black Sea NGO Forum. The Black Sea NGO Forum is an annual event which aims to create an open space for debate, mutual knowledge and understanding, communication and cooperation among civil society representatives, Governments and international organizations active in the wider Black Sea Region, with a focus on sharing good practices in various domains and success stories of regional cooperation. On 10 -12 August 2013 the Analytical Centre on Globalization and Regional Cooperation (ACGRC) with support of the Friedrich-Ebert-Stiftung (FES) carried out a workshop: “Armenia-Azerbaijan Civil Diplomacy Dialogue”. The workshop brought together civil society representatives, experts-analysts, academician’s journalists and students from Armenia and Azerbaijan. In total 24 persons took part at the workshop (12 persons per country). On 6-9 August 2013 in Tbilisi (Georgia) the Yerevan-based Analytical Centre on Globalization and Regional Cooperation (ACGRC) in cooperation with the Czech Institute for Stability and Development (ISD) and with support of the International Visegrad Fund (IVF) and the Ministry of Foreign Affairs of the Czech Republic carried out international conference on the topic: “Through Cooperation to understanding: Regional Cooperation – a tool of settlement of frozen conflict”. Welcoming remarks were made by H.E Ivan Jestřáb (Ambassador of the Czech Republic to Georgia), H.E Andrzej Cieszkowski (Ambassador of the Republic of Poland to Georgia), István Gyebnár (Chargé d’Affaires, Embassy of Hungary to Georgia) and Tobias Thyberg (Head of Political, Press and Information Section, Delegation of the European Union to Georgia). Experts and NGO representatives from the Czech Republic, Poland, Hungary, Slovakia, Azerbaijan, Turkey, Georgia and Armenia took part at the conference. In Budapest (Hungary) ACGRC Director Dr. Stepan Grigoryan delivered a lecture on the topic: "The Enlargement Perspectives of the Visegrád Cooperation: Tightening Relations with the States of the Eastern Partnership" at the Antall József Summer School. On 16 July 2013 in Yerevan (Armenia) the Analytical Centre on Globalization and Regional Cooperation (ACGRC) jointly with the Embassy of the Republic of Lithuania organized a conference: “Presentation of the Incoming Lithuanian Presidency on Priorities Concerning the Eastern Partnership in View of the Vilnius Summit”. The welcoming remarks were made by H.E Erikas PETRIKAS – Ambassador of the Republic of Lithuania in the Republic of Armenia. The speakers were: H.E Zohrab MNATSAKANIAN – Deputy Minister of Foreign Affairs of the Republic of Armenia, H.EVaidotas VERBA - Ambassador-at-large and Special Envoy for Eastern Partnership at the Ministry of Foreign Affairs of the Republic of Lithuania, H.E Traian HRISTEA – Head of the European Union Delegation to Armenia, Vytis JURKONIS - Institute of International Relations and Political Science of Vilnius University and Stepan GRIGORYAN – Director of the Analytical Centre on Globalization and Regional Cooperation (ACGRC). The participants were Ambassadors of Germany, Brazil, Ukraine, Charge de Affairs of the Czech Republic in Armenia, diplomats from the Embassies of Poland, Bulgaria, Romania, Kazakhstan, representatives from the Ministries of Education, Transport and Communication, Territorial Administration and Diaspora, Members of the Armenian Parliament, experts-analysts, NGO representatives, young researchers, students and journalists. Analytical Centre on Globalization and Regional Cooperation (ACGRC) jointly with the Turkish NGO ARI Movement and with the support of the German Friedrich-Ebert-Stiftung (FES) held a conference with the participation of Turkish and Armenian NGO representatives, politologists, historians and journalists within the framework of the Armenian-Turkish project “School of Young Leaders” on 27 – 30 June 2013 in Yerevan and Tsakhkadzor. The main topics discussed were the current state of the Armenian-Turkish relations, the future of the Armenian-Turkish protocols, possible positive initiatives for the resumption of negotiations towards the normalization of bilateral relations as well as the role of major powers and regional leaders in making peace and stability in South Caucasus. Besides, meetings at the Armenian leading institutions, analytical centers and NGOs were held for the Turkish participants of the project. Nine young scholars, experts and journalists from Istanbul and Ankara took part in the project from the Turkish side. In Odessa (Ukraine) on 17 June 2013 ACGRC Director Dr. Stepan Grigoryan made a report at the conference: “V4 and the Eastern Partnership: Towards the Vilnius Summit”. The conference was organized by the Slovak Foreign Policy Association and its partners and was supported by the International Visegrad Fund (IVF). On 29-30 May 2013 ACGRC Representative Veronika Danielyants in Tbilisi (Georgia) took part at a two-day conference on the topic of Freedom of Religion and Belief. The conference was organized by the Embassy of the Netherlands in Georgia, the UN Office of the High Commissioner for Human Rights in Georgia and the European Centre for Minority Issues Caucasus. On 28-30 May 2013 ACGRC Program Manager Hasmik Grigoryan was in London (UK) by the invitation of the Actiondog CIC-UK. Our representative in London discussed with the representatives of Actiondog the upcoming joint event which is supported by the Youth in Action program. The Antall József Knowledge Centre of Political and Social Sciences is a young think-tank organization independent of political parties. It was founded in 2010 in cooperation with the Corvinus University of Budapest. The main vision of the institution is to support the intellectual activities of students, researchers and young professionals as well thus maintaining the political philosophy of Dr. József Antall (1932 – 1993), the first freely-elected Prime Minister of Hungary after the communist era. The main profile of the Knowledge Centre is talent management which is done in the form of organizing various praxis-oriented educational programs such as workshops, trainings, round-table discussions and conferences. Furthermore, the publication of high quality works in the field of political and social sciences is a key activity of the institution. On 3-5 May 2013 the Yerevan-based Analytical Centre on Globalization and Regional Cooperation (ACGRC) in Tsakhkadzor (Armenia) carried out a conference: “The EU Eastern Partnership: Democracy, Human Rights, Good Governance and Stability”. The conference was organized in cooperation with the Embassy of the Czech Republic in Armenia. Speakers of the conference were: Zohrab Mnatsakanian – Deputy Minister of Foreign Affairs of the Republic of Armenia, Petr Mareš – Special Envoy for Eastern Partnership, Ministry of Foreign Affairs of the Czech Republic, Petr Mikyska –Charge de Affairs, Embassy of the Czech Republic in Armenia, Vaclav Nekvapil– Managing Director, CEC Government Relations, Antonin Berdych – Chairman of the Supervisory Board, Association for International Affairs (AMO), Arthur Soghomonyan - Head of the Department of community service affairs, Ministry of Territorial Administration of the Republic of Armenia, Erik Petrosyan – Head of the Division of community service organization, Ministry of Territorial Administration of the Republic of Armenia and representatives of Armenian civil society organizations. Conference brought together around 50 representatives of the Armenian NGOs, academicians, students and journalists. On 9 April 2013 Yerevan-based Analytical Centre on Globalization and Regional Cooperation (ACGRC) hosted a conference on the topic: “EU Foreign Policy towards South Caucasus”. The keynote speaker was Deputy Prime Minister and Minister of Foreign and European Affairs of the Slovak Republic MIROSLAV LAJČÁK. The conference was organized in cooperation with the Embassy of the Slovak Republic in Russia and Armenia. The participants of the conference were Members of the Armenian Parliament, Representatives of the Ministry of Foreign Affairs, NGOs, experts-analysts, diplomats and representatives of international organizations, students and journalists. On 14-16 March 2013 in Tbilisi (Georgia) ACGRC Director Dr. Stepan Grigoryan made a report at the 7th Workshop of the PfP Consortium Study Group “Regional Stability in the South Caucasus”. The Workshop was organized by the Austrian National Defense Academy, Ministry of Defense of Georgia, Directorate General for Security Policy, Austrian Ministry of Defense and Sports and PfP Consortium Study Group “Regional Stability in the South Caucasus”. Analytical Centre on Globalization and Regional Cooperation (ACGRC) is a partner in the project: “Regional Cooperation as Tool of Settlement of Frozen Conflict”. The project leader is the Czech-based Institute for Stability and Development (ISD). The project is supported by the International Visegrad Fund’s V4EaP Extended Standard Grands Program. The project's ambition is to compare and analyze reasons of frozen conflict areas and through discussions with relevant stakeholders, fact-finding missions and policy analysis. We aim to provide solutions on how to mitigate frozen conflicts using inter- regional/cross-border animation. The project will cover first of all regions of Transnistria and Nagorno-Karabakh. Situation in other areas - Abkhazia, South Ossetia and Kosovo/Serbia, will be analyzed based on results received. Analytical Centre on Globalization and Regional Cooperation (ACGRC) is starting a project: “Young leaders, public administration and NGO representatives for Democracy Promotion: Shifting Engagement from theory to practice”. The project is supported by the Canada Fund for Local Initiatives. ACGRC at the Conference: "Armenian Elections: Assessment and Recommendations"
POST BELLUM NGO from the Czech Republic started a project: “Establishing and developing the cooperation within the Memory of Nations Network in Eastern Partnership States” The project is supported by the International Visegrad Fund (IVF). Analytical Centre on Globalization and Regional Cooperation (ACGRC) is the partner of the project from Armenia. On 6-8 December 2012 ACGRC Director Dr. Stepan Grigoryan took part and made a report at the workshop “Go East” in Prague, the Czech Republic. The project “Go East” is being implemented by the Charles University in Prague with partnership of the Comenius University in Bratislava, the National University “Kyiv-Mohyla Academy” and Comenius University in Budapest. The project is supported by the International Visegrad Fund (IVF). Polish-Ukrainian Cooperation Foundation (PAUCI) and the Analytical Centre on Globalization and Regional Cooperation (ACGRC) organized a Study Visit to Poland for the representatives of public administration representatives and civil society actors from Yerevan, Gyumri and Vanadzor. The study visit took place from 19-24 November 2012. Project is co-financed from the sources of the program Democracy Support within the Polish Development Cooperation program 2012 financed by the Polish Ministry of Foreign Affairs. On 15-17 ACGRC Director Dr. Stepan Grigoryan in Geneva (Switzerland) took part at the seminar: “Caucasus 2025: A Vision”. The seminar was organized by the Geneva Centre for Security Policy and Federal Department of Foreign Affairs (FDFA) of Switzerland. On 7 November 2012 ACGRC Director Dr. Stepan Grigoryan took part at the Election Morning Open House at the US Embassy in Yerevan by an invitation from H.E John Heffern, Ambassador of the United States to the Republic of Armenia. On 16 – 19 October 2012 Analytical Centre on Globalization and Regional Cooperation (ACGRC) jointly with Polish-Ukrainian Cooperation Foundation (PAUCI) carried out training for representatives of public administration (condominiums) from Gyumri and Vanadzor regions of Armenia. The training was supported by the program “Democracy support 2012” by the Ministry of Foreign Affairs of the Republic of Poland. On 12 October 2012 the Analytical Centre on Globalization and Regional Cooperation (ACGRC) jointly with the Stefan Batory Foundation and with support of the Ministry of Foreign Affairs of the Czech Republic carried out an international conference in Yerevan on the topic: “Contacts Between People: EU Visa Policies Towards the Eastern Partnership Countries”. The conference brought together a number of experts-analysts and civil society representatives from the Czech Republic, Belgium, Poland, Ukraine, Belarus and Armenia. In Kiev (Ukraine) ACGRC Representatives Maria Amaryan and Jenya GYULBANGYAN took part at a conference: ”Civic Expertise of the EU Members States Visa Policy: Lessons Learned for the Eastern Partnership Countries”. The conference was organized by the Europe without Barriers with support of the European Program of the International Renaissance Foundation. On 19-23 September 2012 in Oslo (Norway) ACGRC Representative took part at the Annual meeting of the European Network for Civil Peace Servicesand Nonviolent Peaceforce. ACGRC Representative presented the activities and publications on the centre and developed new network of partners and contacts. On 17-18 September 2012 in Tbilisi (Georgia) ACGRC Representative took part at the: “Experts’ meeting on mainstreaming a Gender perspective into Security Sector Reform”. The meeting was organized by the Gender Equality Council of the Parliament of Georgia, NATO, EU and UN. Polish-Ukrainian Cooperation Foundation (PAUCI) jointly with the Analytical Centre on Globalization and Regional Cooperation (ACGRC) is implementing a project: Transparency in Armenian housing condominiums as a guarantee of their effective operations. The project is co-financed through the program “Democracy support 2012” by the Ministry of Foreign Affairs of the Republic of Poland. A conference co-organized by the Armenian National Platform of The Eastern Partnership Civil Society Forum and The Center of European Studies defining the mutual EU-Armenia relations and cooperation took place on 4 July 2012 in Yerevan. The keynote speaker was President of the European Council Herman Van Rompuy. The Session “Visa Facilitation as an Important Step Towards Integration” was organized by the Analytical Centre on Globalization and Regional Cooperation (One of the founding members of the Coalition for the European Continent Undivided by Visa Barriers). The speakers were H.E Traian HRISTEA (Head of the EU Delegation to Armenia), Iryna SUSHKO (Head, “Europe without Barriers”), Mher MARGARYAN (head of the EU Division, Ministry of Foreign Affairs), Eleonora VERGEER (Policy Advisor on Migration, European Union Advisory Group to the Republic of Armenia),Gagik YEGANYAN (Head of Migration Agency, Republic of Armenia). ACGRC Director Dr. Stepan Grigoryan met with Lithuanian Defense Minister Rasa Juknevičienė on 24 June 2012 in Yerevan (Republic of Armenia). On 18-19 June 2012 ACGRC Program manager Armen S. Grigoryan in Brussels (Belgium) took part at the visit to NATO: “Opinion Formers from Armenia”. The meeting was organized by the NATO Public Diplomacy Division. In the framework of the visit Armenian delegation met with NATO officials and the Head of Armenia’s Mission to NATO. On 4 June 2012 ACGRC Director Dr. Stepan Grigoryan took part at the Universal Rights Award Ceremony organized by the US Embassy in Yerevan. The keynote speaker was US Secretary of State Hillary Rodham Clinton. 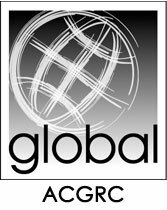 Analytical Centre on Globalization and Regional Cooperation (ACGRC) became an Associate Member of the Policy Association for an Open Society (PASOS). PASOS aims to promote and protect democracy, human rights and open society values including the rule of law, good governance, and economic and social development by supporting civil society organisations that individually and jointly foster public participation in public policy issues at the European Union level, in other European and global structures, and in the wider neighbourhood of Europe and Central Asia. 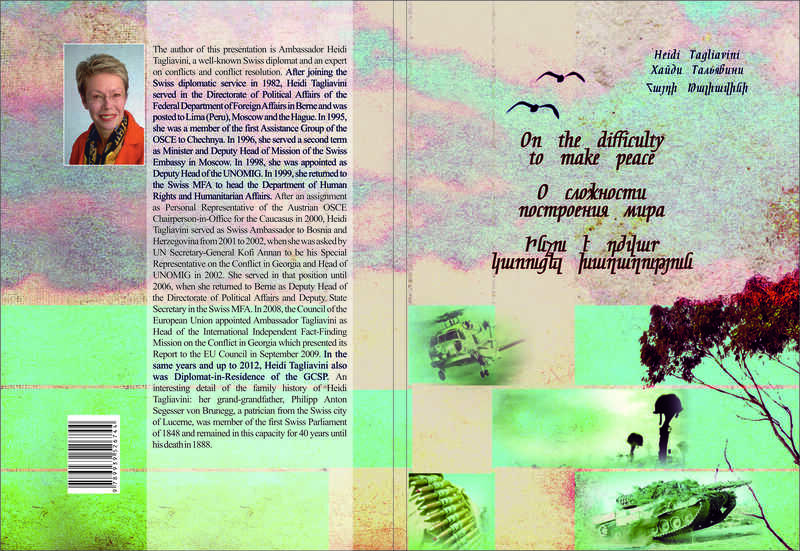 On 30 April 2012 Dr. Stepan Grigoryan (ACGRC) took part and made a report at the Symposium on "Narrative and Reconciliation in the South Caucasus: Time for a New Discourse" in Washington University in St. Louis (US). The event was co-sponsored by the Center for New Institutional Social Sciences (CNISS) and the McDonnell International Scholars Academy at Washington University in St. Louis, as well as the Center for Strategic Studies (SAM). Al Jazeera documentary film "Common Pain"
American University hosts discussion on South Caucasus conflicts. (22-24 March, 2012, Tbilisi, Georgia) at the Panel 3: Visa liberalisation and mobility. ACGRC Analyst took part at the 5th Kiev Security Forum Trends in Global Security: Does Democracy Matter? in Kiev (Ukraine). The organizers of the Forum were Open Ukraine Foundation, the Black Sea Trust for Regional Cooperation GMF, Chatham House and the Victor Pinchuk Foundation. The participants were high-level experts and senior officials from the USA, UK, the Czech Republic, Georgia, Ukraine, Turkey, France, Poland, Lithuania and Belgium. on 20 March the Analytical Centre on Globalization and Regional Cooperation (ACGRC) jointly with the EUROCLIO carried out a round-table with Armenian historians and history educators. The project is supported by European Union s Eastern Partnership Culture programme (European Neighbourhood Partnership Instrument). EUROCLIO Senior Manager Steven Stegers presented the project goals and activities to the participants of the round-table. Deputy Head of the EU Delegation Onno Simons made the welcoming remarks. Stepan Grigoryan participated in the discussion about Turkish-Armenian Relations in Kars on 2-4 November 2010. The discussion has been organised by The Turkish Economic and Social Studies Foundation (TESEV) with support of the Friedrich Naumann Foundation (FNF).
. The main aim of the project is to launch a platform for collaboration and idea exchange. On 21-23 October ACGRC project assistant Veronika Danielyants participated in the 3rd Black Sea NGO Forum in Constanta. The Black Sea NGO Forum was launched in 2008 by the Romanian Federation of Development NGOs (FOND) and organised in cooperation with the Romanian Ministry of Foreign Affairs, the European Commission and the Black Sea Trust for Regional Cooperation. The Forum aims at increasing the level of dialogue and cooperation among NGOs in the wider Black Sea region, as a means of strengthening NGOs and their capacity to influence regional and national policies. On 18-20 October Analytical Centre on Globalisation and Regional Cooperation organised the 4th Armenia-Turkey Civil Diplomacy Dialogue workshop in Istanbul. The workshop brought together a number of prominent academics and analysts from Turkey and Armenia. On 18 October workshop participants visited two leading Turkish Universities: Kadir Has University (KHU) and Bogazici (Bosphorus) University. The workshop was supported by the Friedrich-Ebert-Stiftung. On 19-20 October 2010 ACGRC board member Maria Amaryan participated in the international conference Go East 2010 in Warsaw. The conference, the first edition of which had taken place in December 2009, was devoted to the possibilities of financing projects and establishing cooperation with the Eastern Partnership countries and states from outside the Partnership in the fields of culture and civic society. The program is composed of four panels: culture, civic society, self-government projects, and free press.
. The conference is organized by the Chatham House in cooperation with the European Commission and Robert-Bosch-Stiftung. ACGRC programme manager Armen Grigoryan participated in the Eastern Partnership Civil Society Forum working group meeting on 7-8 October. Meeting report is available. On 8 October 2010 ACGRC Chairman Stepan Grigoryan presented a report at the international conference “Energy Security Strategies in the Wider Black Sea Region” in Bucharest. The conference was organised by the Romanian Conflict Prevention and Early Warning Centre with the financial support of the Black Sea Trust for Regional Cooperation. On 27 September 2010 ACGRC chairman Stepan Grigoryan presented a report at the international conference “Caucasus Municipalities Union Initiative Research Project – Increasing Dialogue”. The conference was organised by the Turkish Economic and Social Studies Foundation (TESEV) and supported by the Black Sea Trust for Regional Cooperation, GMFUS. ACGRC became a member of the Black Sea Research Network (BSRN). BSRN is an action-focused and multidisciplinary network of policy-oriented research institutes that develop research programmes on issues of importance to the political, social and economic development of the Black Sea region. It represents an innovative attempt to structure and coordinate a network of research institutes (and researchers) focusing on the wider Black Sea region. 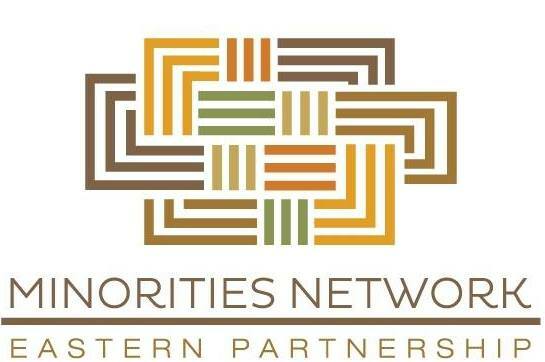 The Network is working under the patronage of the International Centre for Black Sea Studies (Greece). Chairman of the Board of the Analytical Centre on Globalisation and Regional Cooperation Stepan Grigoryan took part in the Czech Television film Sore Spots of Southern Caucasus. Petruška Šustrová is the script author and Martin Mahdal is cameraman and producer of the film. ACGRC became a member of the Central and Eastern European Citizens Network (CEE CN). The network was created to provide opportunities for citizens' grassroots initiatives from CEE region to learn, exchange experiences and ideas as well as enhance their organisational growth through establishing and managing a partner relationship among themselves.